The game Minecraft has garnered millions of users worldwide. Here you can build almost all the things that surround us in everyday life. Some things you can only craft with the help of special add - ons- mods. Not everyone turns to add them the first time, so the question about how to install mod for Minecraft, it is very relevant. 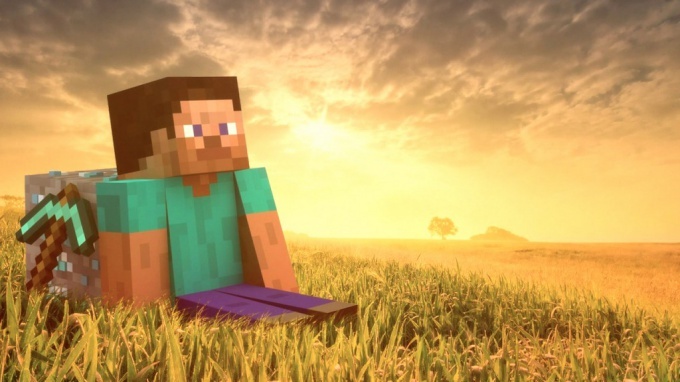 To set Minecraft mods, download them to your computer from trusted site. Preferably before installation to check the files for viruses. Locate the file on the computer minecraft.jar and place this on the desktop. If the installation goes something wrong, you will be able to return all your settings and save. Find this file at: C:/Documents and Settings/computer Name/Application Data/minecraft/bin if you have Windows XP operating system. Owners of Windows 7 or Vista can access in the folder C:/Users/Имя computer/AppData/Roaming/minecraft/bin. If you do not see the desired file, go to folder options and view settings, enable the check box next to "Show hidden files and folders". With the help of archiver open minecraft.jar and the archive of the mod which you want to install on Minecraft. Copy all the files from the archive with the family and move them to the archive minecraft.jar. If you strictly followed the instructions, then you have succeeded to install the mod. Open the meta-inf folder in the archive minecraft.jar and then delete the contents. Installation is the same for all versions of Minecraft, whether it be 1.5.2, 1.7.2, 1.6.4 or any other version. However, for fashion work, you have to download and put on computer ModLoader. If you chose the wrong version, instead of the game appears a black screen. In this case, delete the folder minecraft.jar completely and copy in its place the variant you saved, install a different version of ModLoader, and then the desired fashion. To childbirth installed properly the sound, you will need another add-on - Audio Mod for Minecraft. Download it and also install. You also need GUI Api for normal operation of most mods. And it needs to be matched to the version of the game Minecraft. All of these programs are installed exactly the same way as all mods according to the technology described above. Thus, to install the mod simply. If you have something does not work, then you chose the wrong version of the add-ons.